I had a mix of leftover veggies in my fridge, and I wanted to try out my dehydrator, so I threw in a bunch of carrots, zucchinis and cauliflower, and they all came out great! Thinly slice a couple zucchinis, half a cauliflower and a couple carrots. Distribute them evenly on the tray, making sure none of them overlap the other. 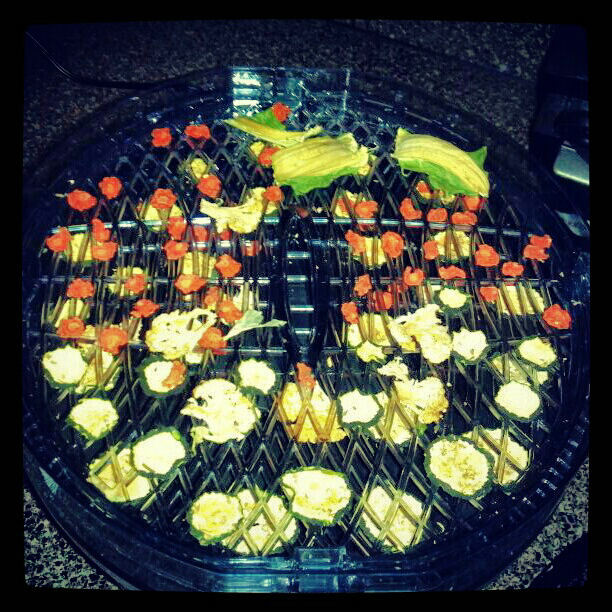 Sprinkle on some dried herbs (I used basil, parsley and dill) and set the dehydrator to medium heat. Dehydrate four about 8 hours, or until the veggie are crunchy. If they are bendy or rubbery still, they are not done, so keep at it and be patient! 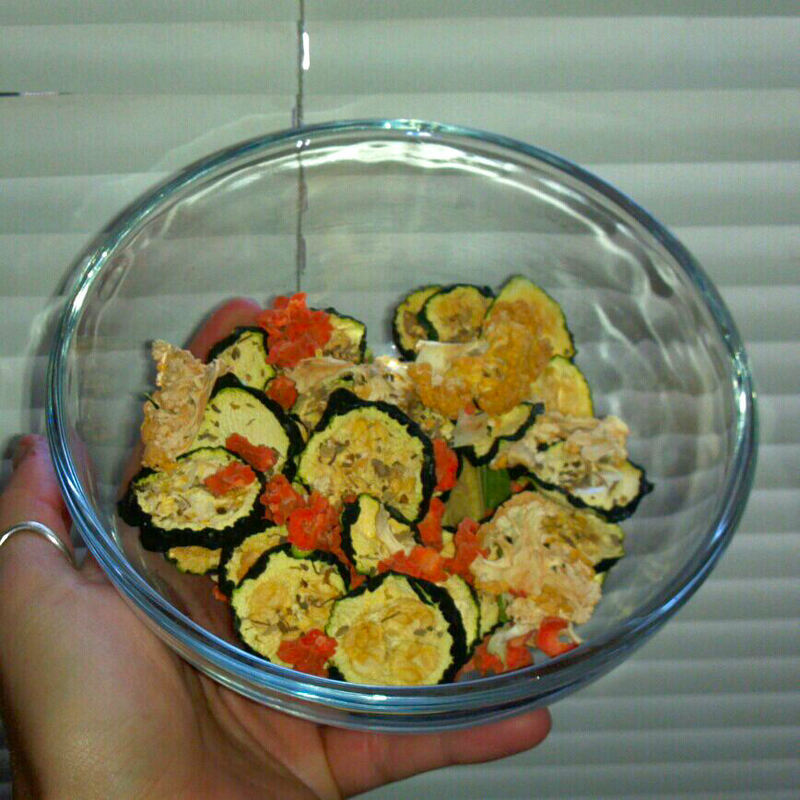 Serve in a bowl or store in an airtight container or ziplock bag. They can keep for about 5 days!